Two operation modes: PPM mode and serial mode. - When in PPM mode, there are 31 different protocols (protocol NO.0 is reserved for serial mode) mapping to the 16-position protocol selection switch on the module. They are listed in the default protocols table below, when the green light is off, you can use the switch to choose protocol NO. 1 to NO.15, when the green light is on, you can choose protocol NO.16 to NO.31. 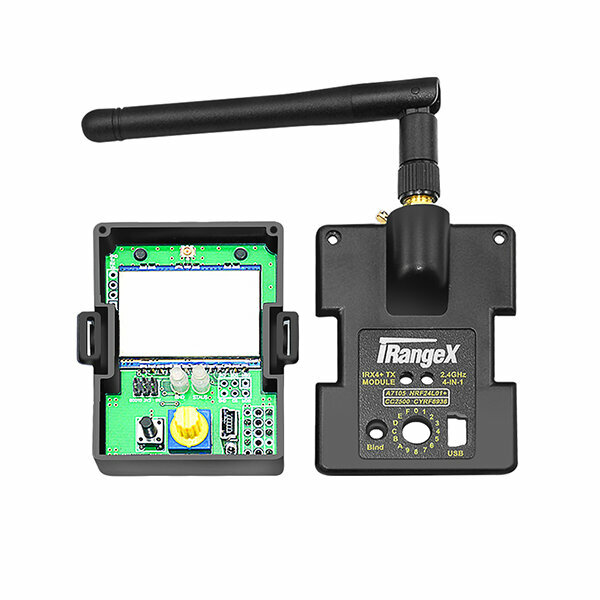 Turn off you transmitter, point the protocol switch to ‘0’, hold and press the bind button of RF module, then turn on your transmitter, after 3 seconds, release the button. 1. 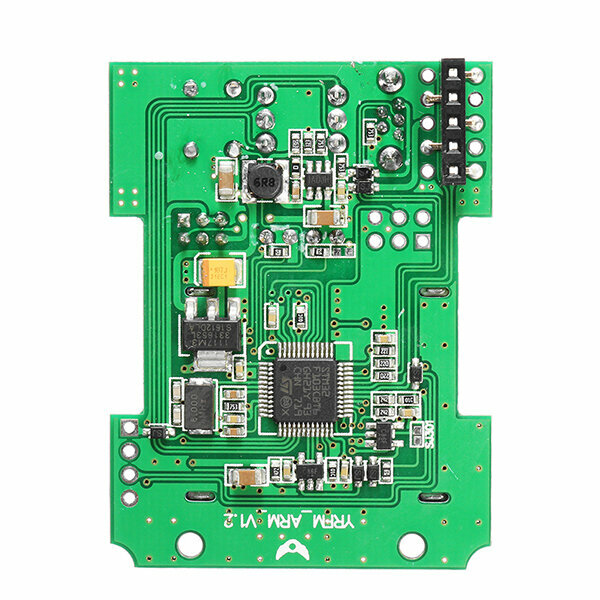 Install RF Module in position, Set PPM signal output on you transmitter. 2. According to the default protocols table, turn the arrow sign (the side with a vertical slot) of protocol switch to the proper number to choose protocol. 3. 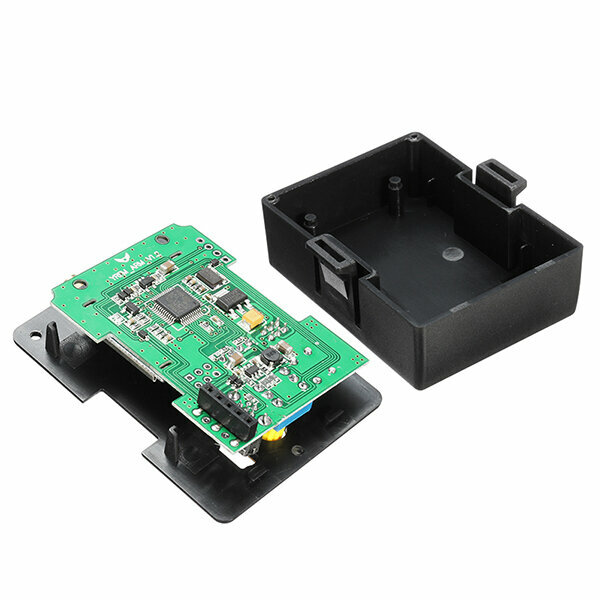 After finish binding operation, Power on your transmitter, the red light of RF module will be on, then RF module is ready to work , after that power on your receiver (or craft). 4. Protocol selection is done at the beginning of power up, so if you want to change protocol during operation, you should recycle the power. 5. The red light will blink slowly if there is no valid PPM signal. 1. Power on your receiver, and set it to binding mode. 2. Hold and press the bind button of RF module, and then turn on your transmitter, after 3 seconds, release the button, you will see the red light flashing rapidly, then RF module is in binding mode, and the red light will go solid after binding. 3. Some protocols (eg: S-FHSS) don’t have binding procedure on RF module, and some protocols (eg: hubsan, e010)will auto bind when power up. When the green light is off, and the protocol switch is point to ‘0’, you can access serial mode. 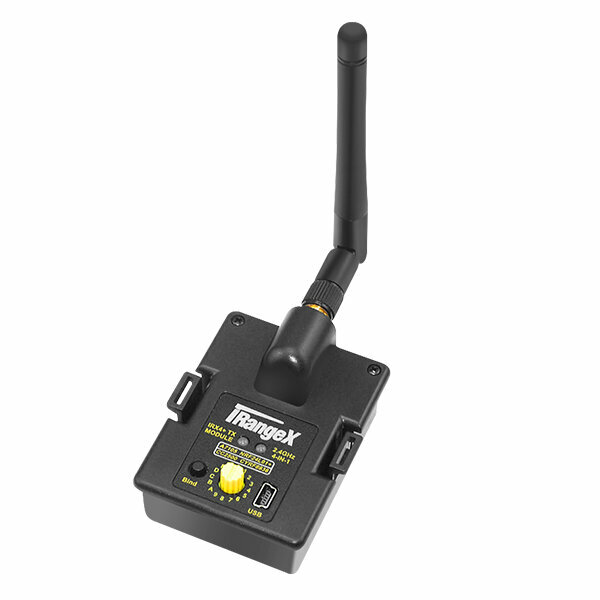 Transmitter that supports the er9X/erSky9X or Open TX firmware can work in this mode, The model protocol selection and binding is done from the Model Settings menu on the transmitter, For telemetry capable transmitters, the telemetry integration is done seamlessly with the transmitter firmware. - The jumpers and header attached is used for updating firmware of TX module through USB serial cable. Please remove them for normal use..
- Sometimes, you may need a power recycle when you choose a new protocol. for example, protocol changes from Q303 to HISKY. - For FRSKY and S-FHSS protocol, you may need set the value of Fine or Option (in the Model Settings menu) properly to bind with your model. The value is varied, since it’s partly depended on your model.